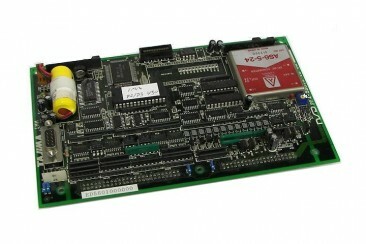 We are often asked if we do circuit board repair estimates. Yes we do. We will take a look at your circuit board, and we will let you know if it is repairable or not. We charge a flat fee of $75 for this service (based on a one-hour diagnosis). If you decide to have us handle the repair, we will waive the $75 fee. The customer is also responsible for shipping charges. Please pack the circuit board with care and include your name and contact information inside the box, along with this completed form. As with anything valuable, we suggest you insure the item you ship and use signature confirmation. Please call 817.988.4497 or email us at sales@plrelectronics.com for more information. Check out our YouTube Channel to see a sample of our extensive experience. ⟵Floppy to USB Compatibility Chart. HI, COULD YOU REPAIR A DU-8 DRIVER CARD, TE X AXIS CONTROL CIRCUIT ITS IN SHORT CIRCUIT , THE MOTOR IS GETTING WARM WHITOUT USE. I AM FROM MEXICO BUT I HAVE FAMILY IN USA. CAN YOU HELP ME ? ?